If you’re on the lookout for a sprinkler company you can trust to do a stellar job AND give you peace of mind with full warranties, you’ve come to the right place. 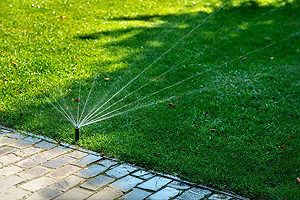 Commercial Irrigation & Turf is the sprinkler company Bloomington, IL chooses. We are the ones who can provide quality work, efficient services and proven results. We base our services on more than 30 years of experience as your local leader in commercial, residential and golf irrigation. Our company operates throughout Central Illinois. Also, we provide geothermal well field installation under another business name, Commercial Underground and Geothermal. In three decades of operation, our sprinkler company has designed, installed and serviced more than 1,000 irrigation systems. We can install your sprinkler system with trenchless technology so minimal excavation is required. And with the help of application-specific tools and machinery, we can streamline the entire installation process. This will ensure your system can be in place in just a couple of days for most home projects. 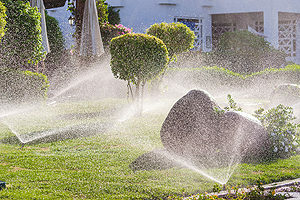 In conclusion, to get in touch with the sprinkler company Bloomington depends on, call Commercial Turf & Irrigation today at 309-698-3011 or fill out our online form for more information. We are located at 109 Commercial Drive in East Peoria IL for your convenience.